A passion for technology promotes innovation. At Logic Supply we are thrilled when we see young people taking an interest in technology. Young people are the engineers of tomorrow. That’s why we like to support local and national groups focused on engineering, robotics and other innovative projects relating to the technology industry. Recently, Logic Supply began working with an organization called US First (For Inspiration and Recognition of Science and Technology), a worldwide program that fosters an appreciation of science and technology in high school and middle school students. There are over 2000 FIRST teams world-wide. The program utilizes adult mentors to help students build a robot during an intense six-week period beginning in January. 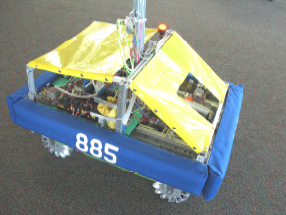 Teams create the the robot from concept to design fabrication and testing. They ultimately showcase their creation in competition. 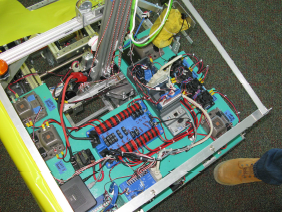 This year, Logic Supply is supporting The Green Team in their robotics project. Based out of Central Vermont at Vermont Technical College (VTC), The Green Team consists of students from grades 7-12 is the first of its kind in the area. They will be competing with their current project in a regional competition in Manchester, NH.